Linen Sale is a great opportunity here at LC to also talk Laundry 101 and offer 20% Off Linen Care Products. Proper care of your fine linens equals longevity for your luxury bedding. We are taking a moment to list important laundry basics for a handy reference. If, you’re looking for washable only items, especially for families with children and pets, our trained staff can properly guide you - just ask. Read further on the blog for more great detailed info. 2) Separate towels from sheets. Follow the linen manufacturers directions, which are printed on the linen tags, and also inserted into the linen packages. Not all items are successfully washable in a home laundry and may need special attention. A few items, like coverlets, or items that are silk and wool, might be dry clean only. Towels and fine linens don’t mix well in a wash - always separate and wash sheets separately. And, while you’re at it, wash like colors together at the proper temp. Did you know that all of our detergents are formulated for high efficiency washers? And, that less is more - only a cap full is needed to wash you sheets. The proper detergent is key to keeping everything in tip top shape. 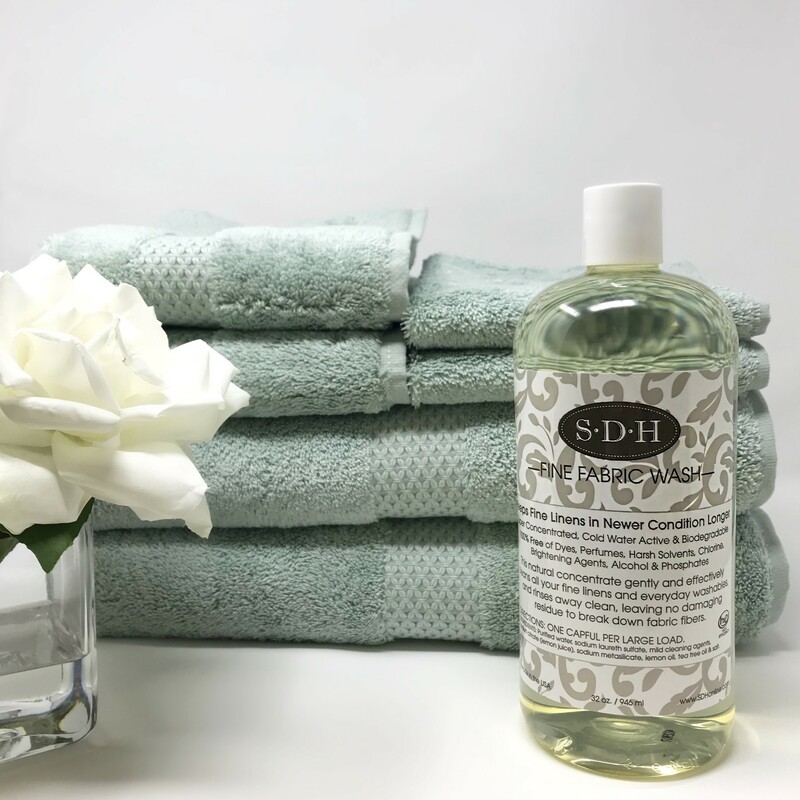 One of LC’s fav, all purpose, basic laundry washes is SDH’s Fine Fabric Wash. This fresh, citrus based scent cleans without dyes, perfume, alcohol, phosphate, petroleum solvents, brightening agents, or chlorine. In a word, it’s gentle enough for baby linens and effective for all other laundry items. It’s a must for keeping SDH Legna sheets in their dreamy, silky soft condition and maintaining the luster of their color. 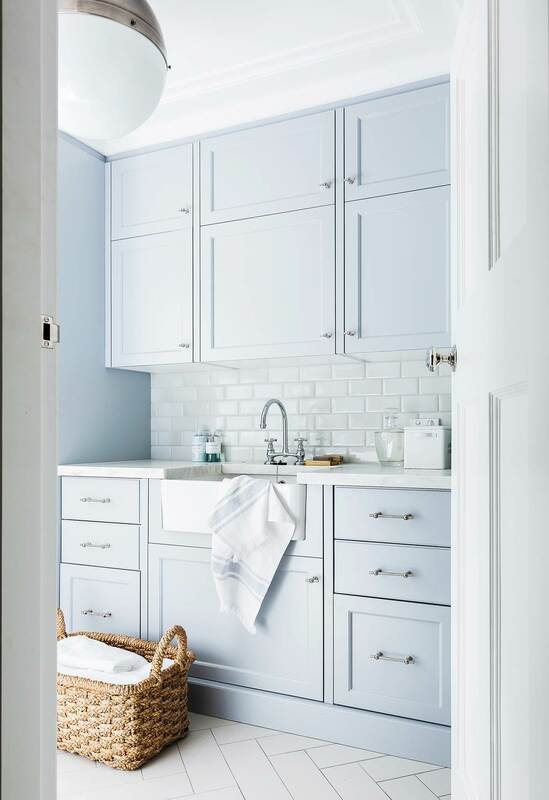 If you prefer a specific product for different laundry needs, the Laundress knows how to get down and dirty when it comes to specifics. Like their Darks Detergent which is great for colorful Yves Delorme towels, to Whites Detergent and All Purpose Bleach for those whites that struggle to stay bright. All Purpose Bleach can even double as a household cleaner. There are so many wonderful products in the Laundress range of detergents, including one scented in Le Labo Santal! A few more pointers: the dryer isn’t a friend to your linens. Keep the temp low and remove the items promptly. This is good advice for towels as well as linens. It should be noted that sheets and washable coverlets have a certain percentage of shrinkage allowance. A high dryer will increase that percent. Forget the dryer sheets - you’ll be doing your sheets and towels a favorthey leave a petrochemical coating on your beautiful linens. Remember to take advantage of kickstarting new laundry goals with of 20% Off All Linen Care Products from the 24th - 30th. If you have linen care questions leave a comment here or call us at Longoria Collection 713-621-4241. In my house, the laundry room is Grand Central Station. Having the right tools on hand is so important and makes the job easy. 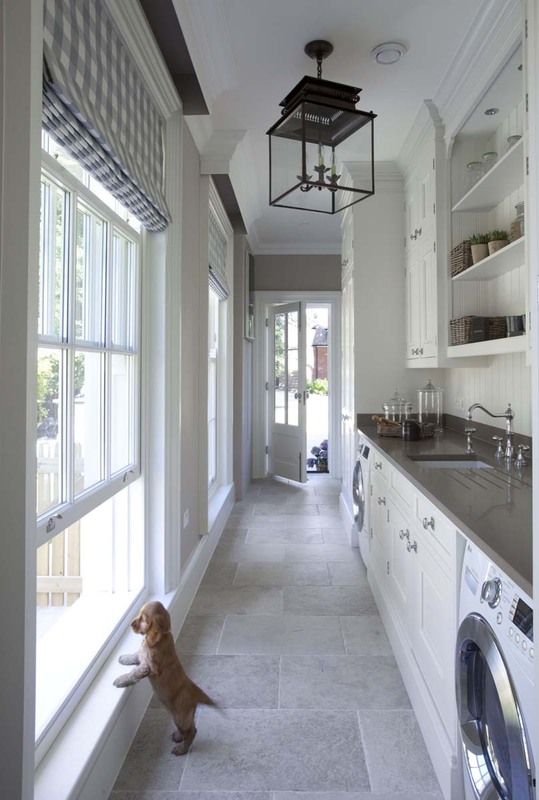 Having a beautiful laundry room makes the task a joy! Voted our best all around detergent! Available on our website for purchase. 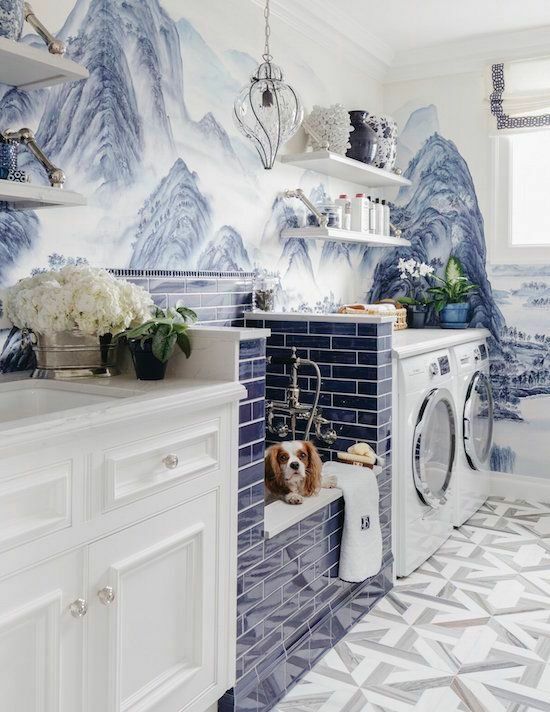 All the best laundry rooms should include a spot for our furry friends.